Established in 2012, we “AllExtreme” pride ourselves for emerging as one of the best manufacturers and suppliers of bike indicator lights. 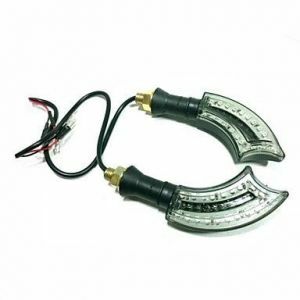 Made using the finest quality materials and latest technology, our offered range of indicator lights are perfect to install on any makes and models of bikes from all the renowned brands like Royal Enfield, Harley Davidson, KTM, BMW, Pulsar, and so on. Meeting all industry standards, our entire range of indicator lights are perfect to be mounted on any a bike for indicating the proper riding direction to other riders on the road. We offer our range in various sizes, colors, patterns, and designs to help people in finding the perfect light for their bike in no time. 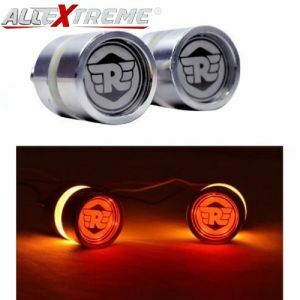 Whether you are looking for a stylish or simple bike indicator light, AllExtreme has everything for you at unbeatable prices!